One of my favorite things to do when I have free time is visit a museum. I love seeing the dinosaur exhibits, going inside a real submarine, or entering into a garden full of butterflies at the nature museum. We have so many places to visit where we can learn more about our local history too, like the Chicago History Museum, the Elgin History Museum, Cantigny Park, and the Roselle Public Library. Then there is the gorgeous artwork at the Art Institute of Chicago. I could wander around that place for hours. We are truly blessed to be in an area that is enriched with the cultural opportunities our museums offer. May 18th is International Museum Day. May is a beautiful month to begin going on family outings again after the long winter. The weather is getting nicer and the beautiful sunshine is out making the outside world so inviting with the bright colors of blossoming tulips and the green, green grass. Did you know that the library offers passes to some of our local museums? You could go to LegoLand, Brookfield Zoo or the Illinois Railway Museum. Admission offers vary per museum, but the passes provide library card holders great discounts to visit these local attractions. I have checked out a few passes myself and have had some great family outings. Stop in at the "Ask Me" desk in Youth Services and I can help you find a great museum to visit. 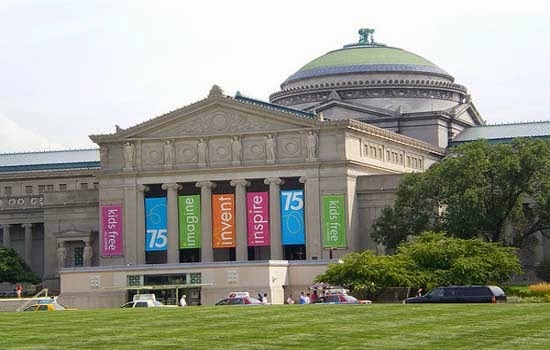 May 21st, the Museum of Science and Industry is offering free admission. 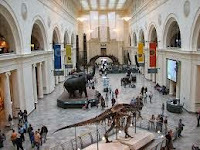 Check out other great opportunities at Chicagoland museums. With summer quickly approaching, you can plan some great excursions to these wonderful museums set down by beautiful Lake Michigan.